A semester abroad at a different college is something a lot of us consider at least once in our time in college. The prospect of spending an entire semester at a foreign university can be equal parts tempting and terrifying - exploring a brand new country and way of life versus leaving early everything familiar behind for nearly half a year, not to mention the expenses involved. So, how many people do go for it? The answer: definitely more now compared to a couple of years ago. The number of outbound students across the years has shown a generally increasing trend, in large part due to more and more people getting to know about exchange programs and students having more options to choose from, given the increasing number of MoUs being signed. When it comes to universities, Singapore based National University of Singapore (NUS) and Nanyang Technological University (NTU) are the most sought after, together accounting for a third of outbound exchanges probably due to the TFlearn funding available for exchange to Singapore. That was a general overview. Here’s a look at the department-wise and program-wise representation of students. The number of exchange students from EE and Mech are almost equal to all other departments combined. While this could be attributed to the large number of students enrolled in these branches, the number of exchange students have been small from similar-sized departments such as Chemical, Civil and CSE. Across programs, nearly 90% of our outbound exchange population comprises of UGs, out of which Dual Degree students make up more than two-thirds. Considering an exchange yourself? Odds are, you’re trying to figure out which semester would be best for it. We investigated to find out historical trends, shown below. The vertical axis indicates the semester of exchange and the horizontal axis tracks the percentage of total students (in the specific program) on exchange in a given semester. During 3.1 (the first semester of third year) and 4.1, most BTech students are occupied with career decisions and therefore, the even semesters (3.2 and 4.2) have a large chunk of students going on exchange. On the other hand, Duals tend to highly favour 4.2, followed by 3.1 which is a close second. The more interesting part is that historically, 2nd year is the least preferred, often because students are late to realize that such an opportunity exists. For those of you who are interested to know more about these programs, there’s ton of resources available online. For starters, here is a compilation put together by the International Relations Cell, IIT Bombay. The IIT Bombay alumnus is a rare creature, native to the marshy swamps of Powai. But over the last few decades the IITB alum has migrated to all parts of the world, constantly adapting to its new-found habitat. As avid zoologists enthu punters data scientists, we’ve foraged through the wilds and mapped out the creature’s nesting habits across the globe. Let’s start with the country they reside in. 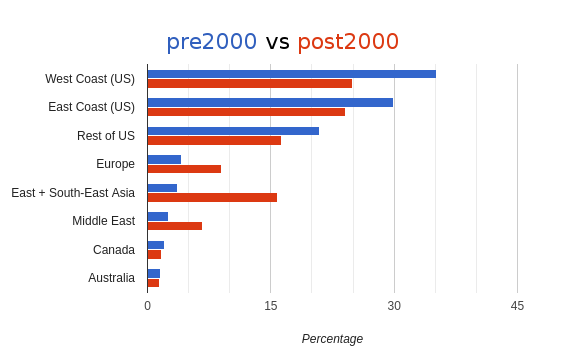 Preferences have changed over the years, and the specimens who graduated in or before 2000 have been dubbed ‘pre2000’, while their newer counterparts, ‘post2000’. 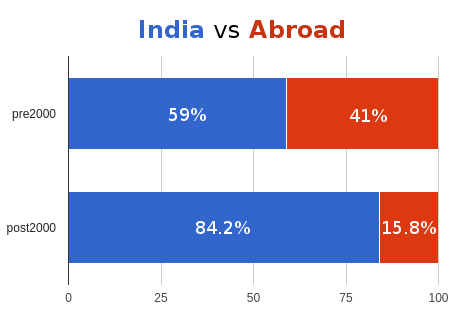 As we can see, a significant percentage (~40%) of our alumni who graduated before 2000 have settled abroad. This number drops down sharply to <16% post 2000, which seems surprising. But ‘abroad’ is a big term. Let’s look at exactly where in the world our alumni live. 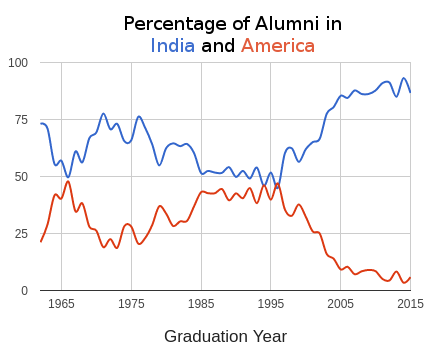 As expected, most alumni live in India. USA takes up a good chunk of the second bar. In fact, four in every five alumni living abroad live in the United States. But, over the years, has the brain-drain problem really changed for the better? In recent times, alumni seem to prefer US less and less. 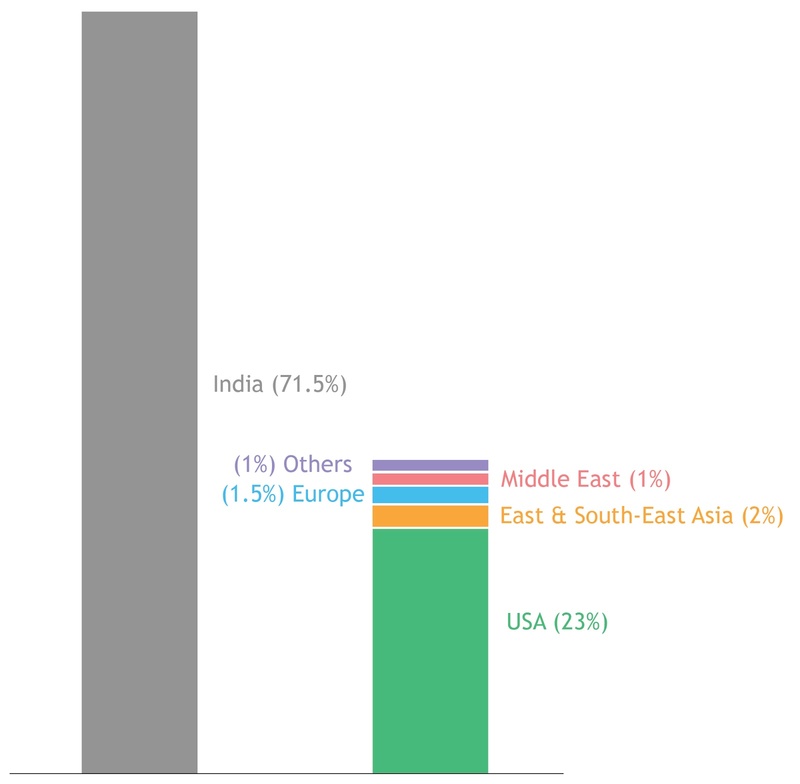 Most of the slack has been picked up by India. This can be attributed to the rising opportunities in India, research and industry wise. While the US dominated the charts in the past, recent times have seen a significant increase in the number of alumni in other nations. The main beneficiaries of this attrition from the States have been countries in the Middle East and Southeast Asia. Let’s have a better look at the scenario back home. 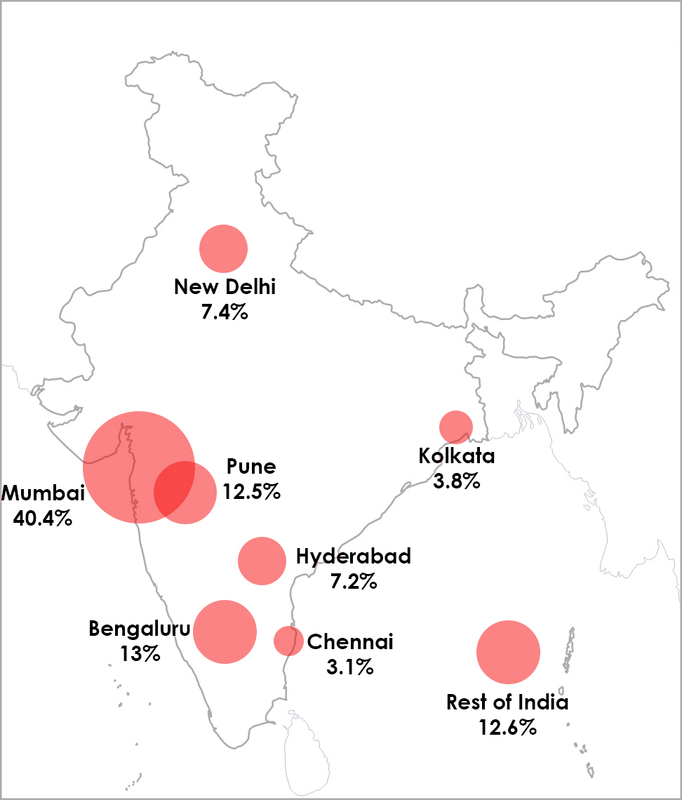 Mumbai is clearly the city of choice for the IITB alum within India. 29% of all IITB alumni who have graduated till date are currently residing in Mumbai. Another surprising element is Pune’s third position in the charts. As a matter of fact, more than half of our alumni living in India currently are settled in Maharashtra. Cities like Bengaluru and Hyderabad have also gained good numbers in the recent years due to the IT boom. • A majority of the Alumni in Kolkata are from the departments of Earth Sciences, Chemistry and Energy, which is unsurprising considering the fact that the cityscape and its surroundings are dotted with relevant industries. • Considering the Middle Eastern countries are among the global hubs for infrastructural development and innovation, it is not surprising that nearly 30% of our alumni there are Civil engineers. • Around 50% of our Chemical Engineering alumni who are in India have settled down in Mumbai.We will soon be releasing another analysis of the work-sectors and job-profiles that our alumni are currently in. We would love to hear from you on what more insights would be of interest pertaining to the alumni community. As for our alumni, we wish you the best, wherever you are. Remember, we know exactly where to find you. 1. Data from close to 20,000 alumni was used. All data used was provided courtesy of the institute. 2. All data obtained is through voluntary self-reporting, and may contain some inaccuracies or biases. 3. We have taken utmost care to ensure anonymity and privacy of all the individuals involved. Please share your concerns if you have any. IIT Bombay has always been a frontrunner in terms of ideas and innovation. In fact, IITB was awarded the National Intellectual Property Award, 2015 for being the Top India Academic Institution for Patents. 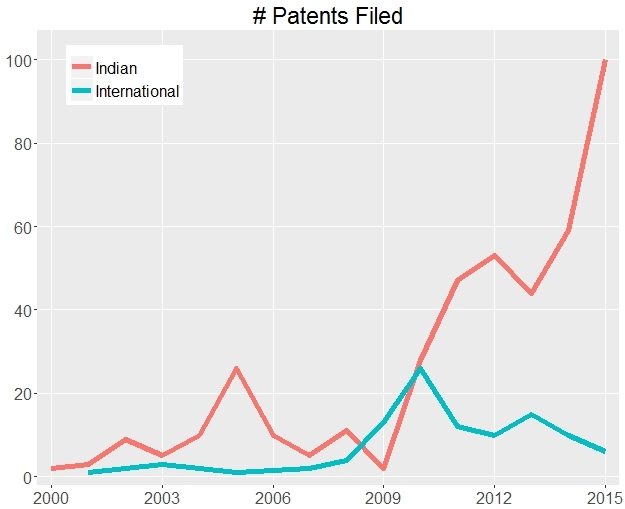 Of course, we wanted to see the numbers behind the scenes, and decided to take a look at all the patents IITB has filed in the last few years. Since 2000, researchers in the institute have filed over 500 patents. Most of the larger circles are clearly concentrated among the Electrical and Mechanical departments. The difference has been more stark in recent years. 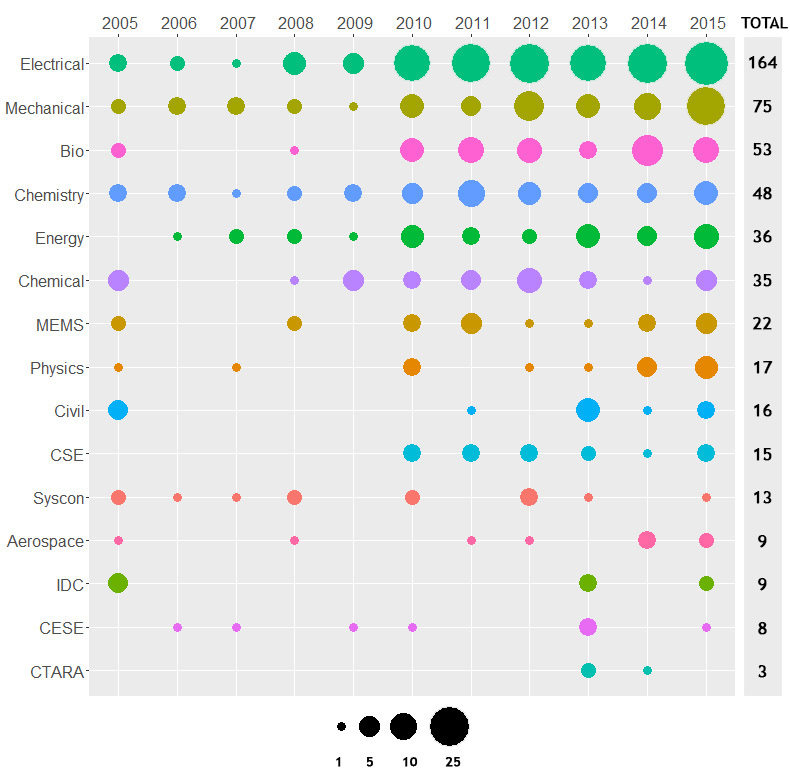 In fact, the top 4 departments (Elec, Mech, Bio, Chemistry) together contribute 65% of all the patents filed by IITB! To some extent this is because of the nature of the work done in each department - certain departments tend to focus more on product-centric output, while others lean towards theoretical research. 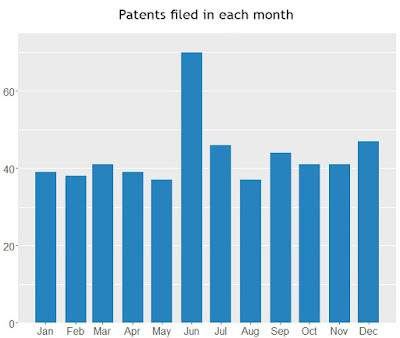 It can also be seen that while certain departments have been ramping up the patent activity over the years, others are still producing these in bursts. Every year, General Secretaries promise to outdo their predecessors in a number of aspects. While a lot of these claims are subjective, we found one place where GSes have objectively been besting the previous years’ marks pretty much every year - The number of emails sent on Student Notices. We managed to get a hold of every single email sent on Student Notices, and analysed them. Here's how the numbers stack up. But say what you will, Student Notices is how we all stay informed about campus happenings throughout the year. We traced a typical student's events calendar using Student Notices. 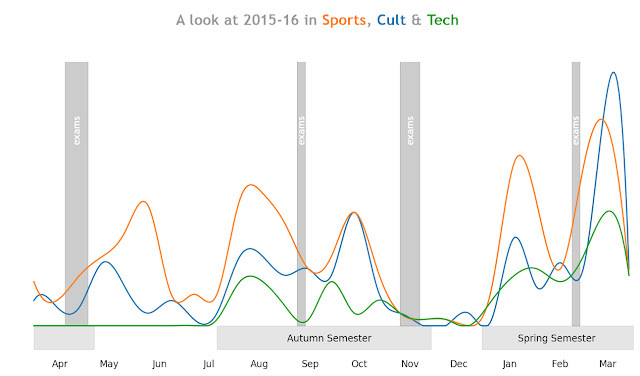 Cult, Sports and Tech broadly capture the events happening on campus. Here’s what last year looked like. 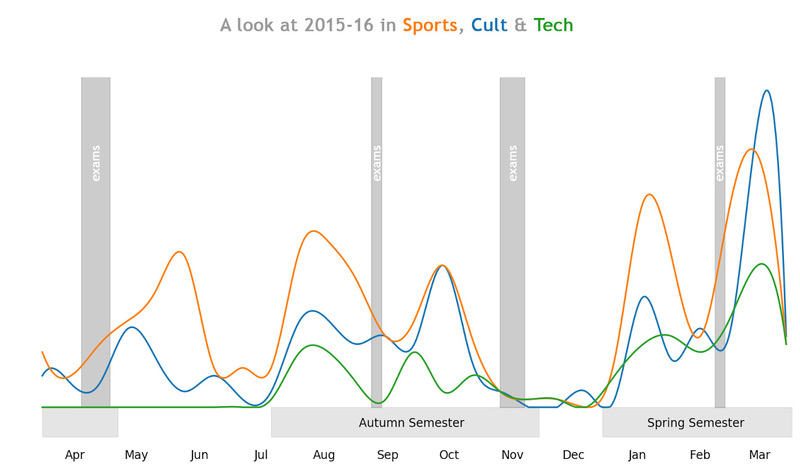 You can see the sharp dips during exam season, and the huge post-exam frustration-busting peaks right after. The spring semester, surprisingly has many more events than the autumn semester. In fact, March (typically near the end of a council’s tenure) sees more events than any other month, across all three domains. Perhaps more interesting that when the emails are sent, is what the emails talk about. 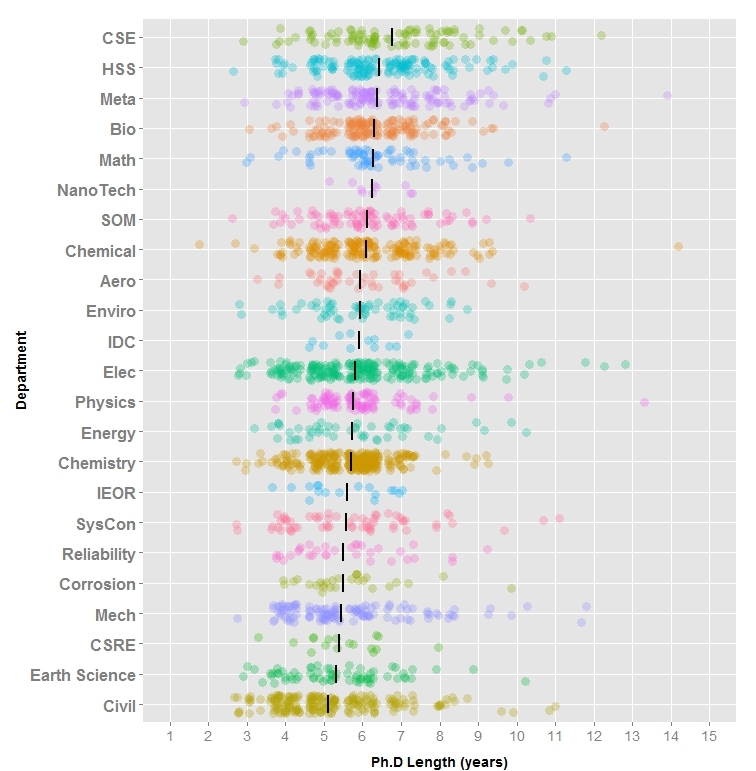 We picked out the most frequent words used by each GS, tenure by tenure. After looking at a few of the clouds, you probably realized that student tops the list for most GSes. 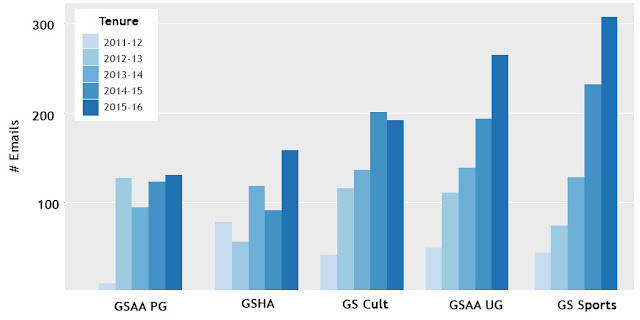 GS Cult and GS Sports typically send out more event-orientated emails, with high usage of words like time, venue, event. Turns out that GSHAs have been the most polite among all the GSes owing to the high frequency of please in their mails! You can play around with the app and discover your own fun(ny) trends. Let us know if we missed anything interesting. The SN mailing list is a treasure trove for data-analysis, and we’ll keep bring you more insights over the next few weeks. Whether it's early in the morning, or late at night, it's undeniable that IIT Bombay runs on just one fuel: tea. You probably have a favourite chai spot too, where the milk-to-water ratio is just right, and the hint of elaichi that the chaiwala adds makes all the difference. Some others amongst us are not so choosy. All that matters is to get a cup of tea to keep you awake, no matter where it's from. So how far from tea are you in your hostel at any given time? What about when you're in your class? Your lab? We take a look at all the tea spots in the institute, and try to give you a visual insight (pun completely unintended) into how these are spaced out - in both location and time. 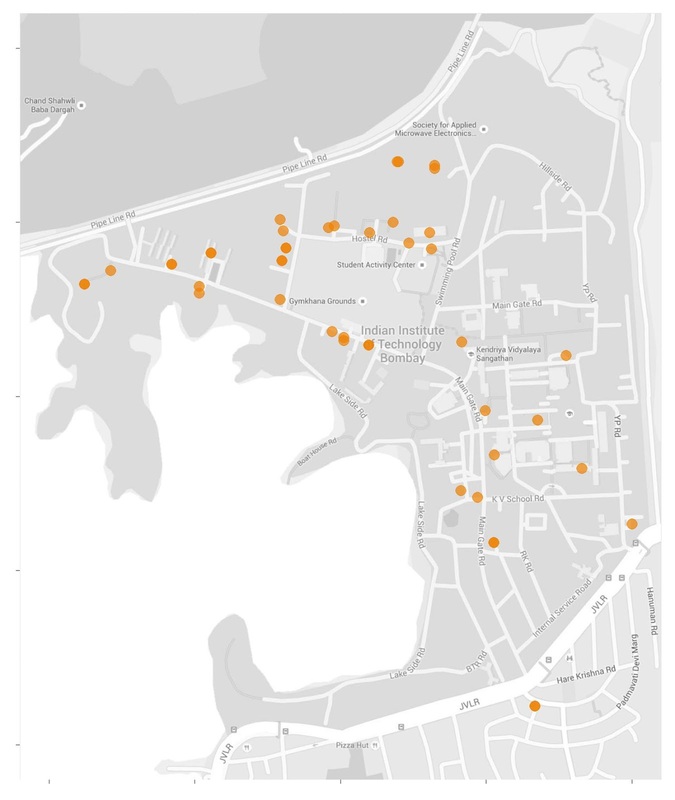 Here's a map of all the places you get tea in the institute. Every mess, canteen, and tapri included. By my count, there's a whopping 45 of them. But I'm more interested in knowing where I could sit and work, while still being within walking distance of a cup of tea. I'm lazy and I'd consider one minute of walking reasonable. Some of my friends will go up to 2 minutes. Anything more is for desperate times only. So here's an animated map of what's within walking distance of every tea stall that's pen at a given time. It traverses through the hours of the day, and shades the area within walking distance of each tea spot. At 8 in the morning, pretty much everyone is in their hostel, and most messes are serving tea. In just a couple of hours, the bulk of the attention shifts to the academic area. If you're a late waker, too bad. Around noon, the hostel canteens open up again. The academic area is still flush with tea for those who can't afford to take a break. Late in the afternoon, at around 5 pm, the hostel area becomes the focus again, as students returning from labs and lectures enjoy a refreshing cup. Or three. At night, the academic area runs out of options entirely. Hostel canteens serve tea till reasonably late, till the blips start to go out one by one, and by 4 am, all you can hope for is that the tapri outside main gate is open. Sleep beckons, but IIT stays awake, watching the clock strike 5, then 6, and 7, till the messes open again at 8 and provide the much needed respite from a tea-less existence. It's kind of hypnotic to watch the bubbles appear and disappear, and live through the day in one GIF. And now, as I wrap up this post at a healthy 4.30 am, it's time to decide whether to venture till the main gate, or stay up till the next glass of that sweet, sweet nectar becomes available in the morning. As always, all the data and code is accessible on GitHub, for you to play around with. 2. The data was collected from a variety of sources, including the IITB website, Google Maps, and simply asking people we vaguely knew to be reliable sources of information. If we've made some inadvertent errors, let us know and we'll fix them. 3. The regular, non-exam-time, everyday timings have been used. In exceptional circumstances, some of these may not be open at the time we've indicated they will, or vice versa. How long does it take to get a Ph.D at IIT Bombay? The short answer is "about 6 years". But boy, do we have a long answer for you. 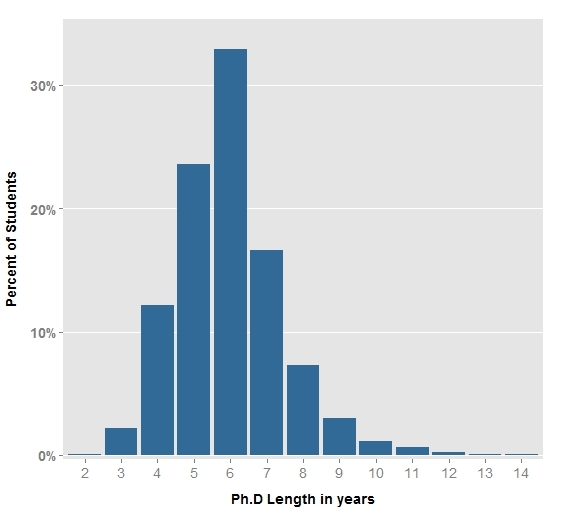 Wasn't I always told that the average Ph.D lasts about 5 years? We took a hard look at the data, and apparently, it doesn't. We examined data about all the Ph.Ds completed at IIT Bombay since 1990, and the average length is about 5.9 years. Ah, but you object, that's most likely due to outliers - the few students who take 8, or 10, or 14 (yep) years, to complete their Ph.D, and skew the mean. Nope. The value of 5.9 is after taking care of all of these. In fact, the Civil Engineering department, which has the shortest average Ph.D length, clocks in at 5.1 years. CSE, at the longest, takes about 6.7 years on average. Coincidentally, both the longest (14 years) and the shortest (2 years) have both been in Chemical Engineering. An interesting question to ask is whether the average length of the Ph.D has been constant over the years. Let's take a look. Darkness of circle represents the number of students at that data point. Wow! 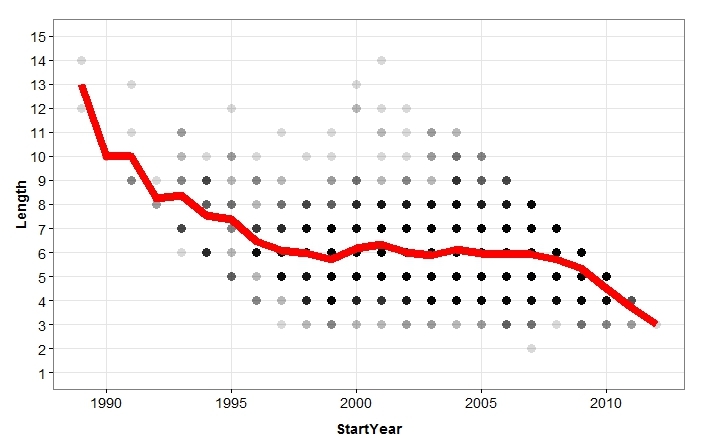 It looks like the average Ph.D length has been consistently decreasing! While the trend seems quite shocking at first, there are a couple of catches: First, the data from the earliest few years is drawn from very very few data points, and is extremely sensitive to aberrations. In fact, things seem to have stabilized quite a bit by 1995, which is a good reference. Second, a large number of Ph.Ds started in the last few years are still going on! So while it may seem that the average for 2011, for instance, is around 3.7, keep in mind that anybody who is planning to take over 4 years is still in the institute, and hence, not a part of the dataset at all. This reduces the apparent length for the last few years. This is the classic survivorship bias. Ignoring these periods prone to errors or biases, for the period of 1995 to 2009, the average length seems to have stayed more or less constant - although, the number of outliers seems to have increased. Hope you enjoyed our foray into data journalism. Do give us feedback on how to improve, in the comments section below. Look out for the next post very soon. In the meantime, if you're feeling adventurous, all code used to gather the data and create the visualisations has been open-sourced. Feel free to play with it and derive some great statistics of your own. Some more crazy visualizations on the dataset are here. 1. Data for some departments has been combined in cases when the departments merged - e.g. IT with CSE, Bio-Medical Engineering with Biosciences & Bioengineering, and so on. 2. All data was sourced from Electronic Theses and Dissertations (ETD) Archives maintained by the Central Library, IIT Bombay. Every student's graduation year was scraped from the thesis, and their joining year calculated from their roll number. Some corrections were made manually. Huge thanks to the ETD for maintaining the archives and making them publicly available. 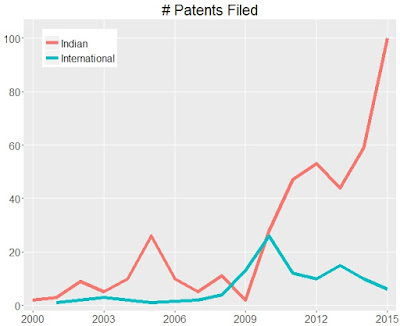 We have been working on creating data-centric articles about IITB for a long time, and we have some great stuff planned.This blog right here is where we present the results to you.